Our Certified Organic farm is at the heart of everything we do. 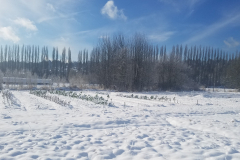 It’s the reason we are all here — why the land was first secured long ago as part of King County’s Agriculture Preservation Program. It is a source of inspiration for our staff, volunteers and for the entire community to embrace. Our work revolves around the food we grow, and the farm practices that we employ to regenerate soil and contribute to climate solutions. 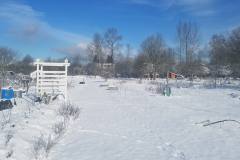 What’s Happening on the Farm in February? “In seed time learn, in harvest teach, in winter enjoy,” wrote William Blake. 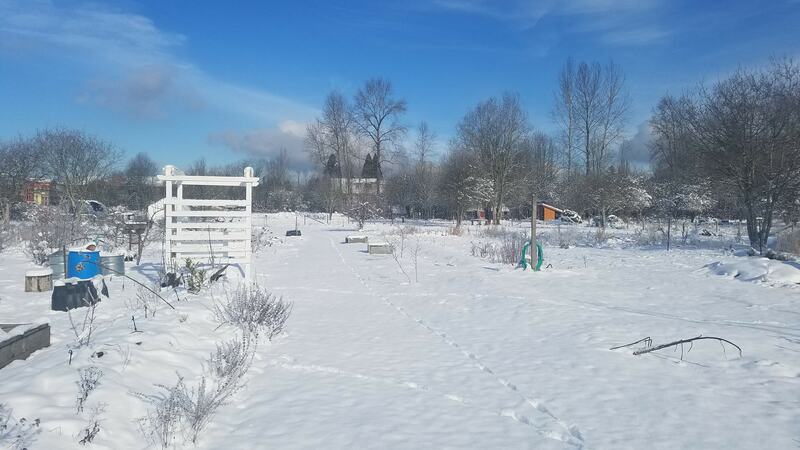 Even though it might seem hard to enjoy the unexpected winter snowstorms over the past couple of weeks, there is warmth to be found in our close community of farmers. 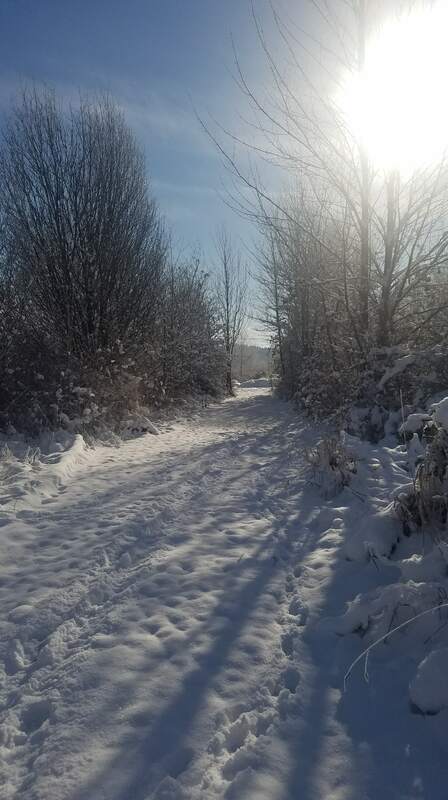 From making a bountiful meal of our winter stores to wandering in the snowbound beauty of the farm, there is so much to enjoy when we have such good friends. After the first snowfall all winter, we were delighted to find telltale sledding tracks on the berm south of our building. The snow brings more friends than just humans, though. Rabbit tracks can be found crisscrossing the farm along with the occasional coyote paw print. Don’t worry, our flock of chickens is safe—our protective roosters make sure of that as the hens cluster for warmth in their coop. 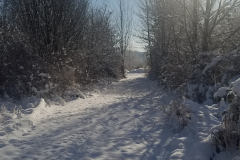 With the next snowstorm blowing in, big plans to begin an ecological restoration project with the UW-Restoration Ecology Network and our volunteer program have been frozen—for now. 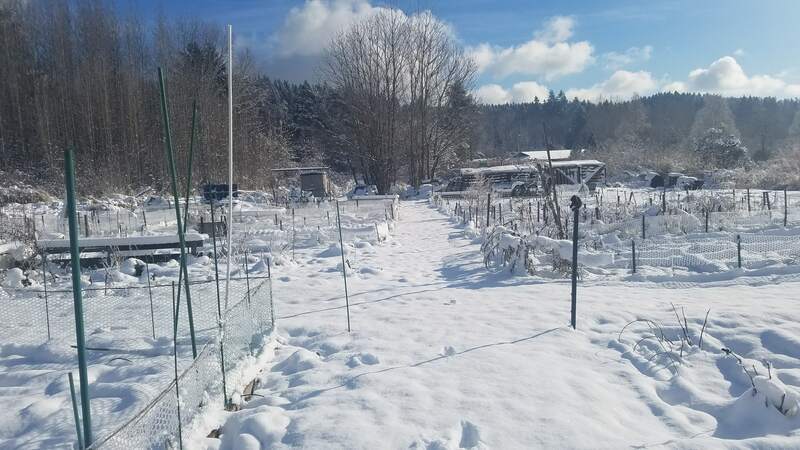 Rooting out invasive species and prepping the soil for native Washington plants to flourish will have to wait. 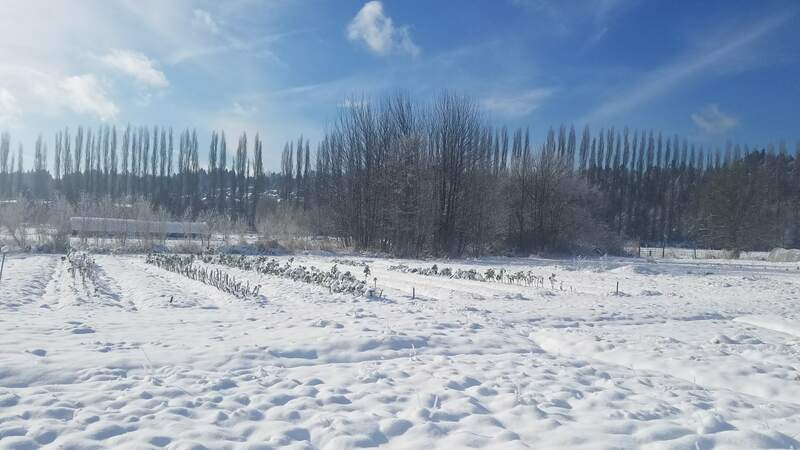 Mother Nature will tell us when it’s time to plant so they will have the best possible chance of thriving in their new home in the 21 Acres soil. We hope that you’re staying warm and safe through the ice and snow. Sooner than you know it, it will be time to plant seeds for the vibrant coming year. Cold toes will thaw and the farm will begin to re-emerge from the snow. For now, it is time to enjoy all that the farm has brought us over the past year—new friends, good food, and an appreciation for the reminders the earth gives us. Read about what happened on the farm last month on the blog. Much of the produce we harvest from the 21 Acres Farm is sold through the Farm Market. Some of the food goes to our kitchen to be used as ingredients in classes or for delicious meals for events. Much of it is used for food-to-go offered in our seasonal deli in the Farm Market. 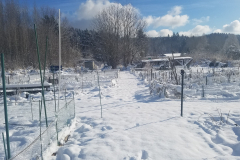 During the summer, the kitchen staff preserves berries, tomatoes, cucumbers, and other warm season crops to enjoy during the winter. Produce is also distributed a number of ways in our community. Some is donated each week to a local organization that distributes food to families in need. 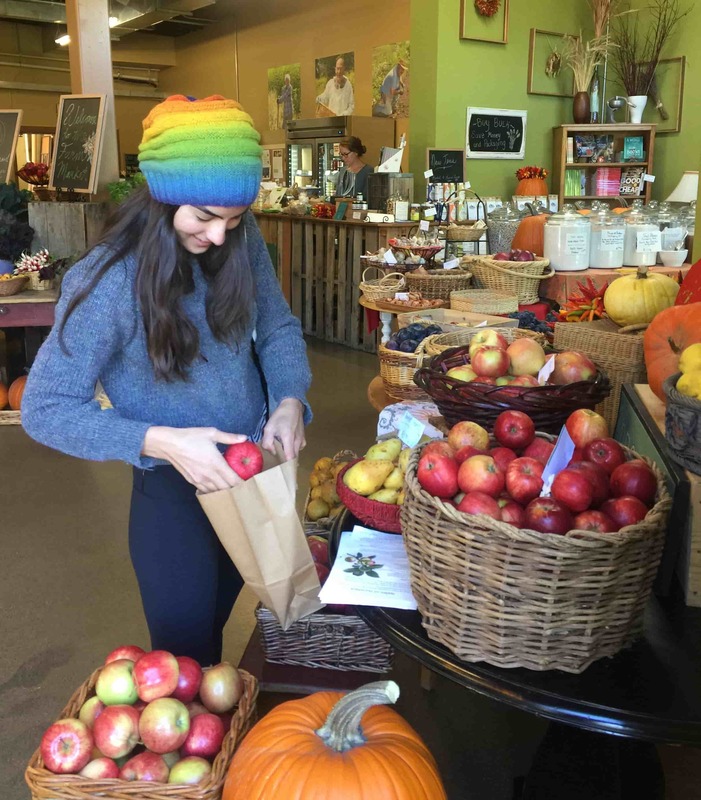 We sell some of the harvest produce through Farmstand Local Foods to local restaurants and businesses. We’re also happy to sell bulk produce to home canners who pre-order to make sure they have the quantities and varieties they need.